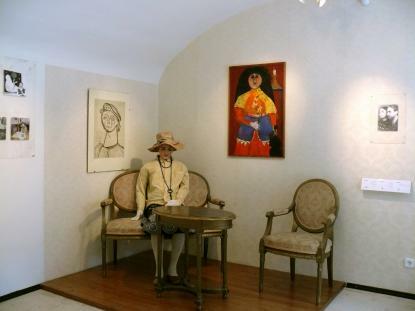 in 2007 Imre Ámos could have been 100 years old The Frerenczy Museum of Szentendre, as the guard of most of the heritage, intends to open an oeuvre exhibition of the artworks of Imre Ámos. The objective is to realize a chronological display that demonstrates the life and work of these two significantly Hungarian artists of the 20th century. The fate and survival of the museum is also determined by the fact that Margit Anna was buried in the garden of the museum building. We opened a modern exhibition, with new lighting, a dehumidifier system and a new installation in which the exhibition the donator intended can open in the centenary year of Imre Ámos.